David began his performing career at the age of four, wowing his audience with a stirring rendition of "Twinkle Twinkle" on his 1/8th size violin. Since this, his musical journey has taken him from french horn, to electric bass, to viol da gamba, to mandolin and beyond, and through such diverse genres as Gregorian chant, jazz, ambient electronica and traditional folk. His motto is, "So much music, so little time," and he truly takes joy in all of the different dimensions of musical expression. In 1987, after serving as his high school’s concertmaster on violin, principal horn in wind ensemble, bass player in jazz band, and section leader in chorus, David enrolled at the Eastman School of Music in Rochester, New York, as a double degree student in music education and french horn performance. While at Eastman, David continued to add new instruments to his repertoire. In particular, he became interested in the performance of early Renaissance music on original instruments through the school's Collegium Musicum ensemble. In that ensemble he added viol da gamba, cornetto, crumhorn and bass recorder to his list of performed instruments as he worked under the direction of Paul Odette (lute) and Christel Thielmann (gamba). David graduated from Eastman in 1991 with highest honors. After graduating from Eastman, while working his "day job" in theater, he continued to work as a performing musician, focusing his energies into the electric bass. He played in several bands in the Connecticut area, including cover bands, jazz bands, and original instrumental groups. Most notably, he was the bass player for the band "Fretwater," an instrumental quartet that featured banjo player Ron Cody, and which played jazz-influenced original music in the New England region. David continued his work on other instruments as well, and also became very involved in the technology side of music and music production. His current performing focus is the mandolin, which he moved to several years ago after decades of work on the violin. 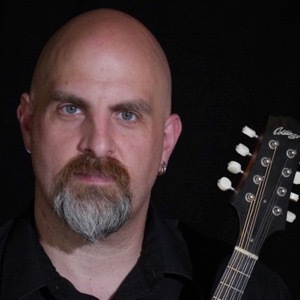 His current performance project is "Prester John," an acoustic guitar / mandolin duo with guitarist extraordinaire Shawn Persinger. The pair has released two full-length albums, the first entitled "Desire for a Straight Line,” and the second “Rise o’ Fainthearted Girls.” The albums, one of which features 16 original instrumental compositions and the other 16 vocal songs, have gone on to receive much positive press from a wide variety of media outlets, with the album, “Desire…” appearing on the Grammy nomination ballot in 2010. In addition to his work with Prester John, David has also been a part of several other groups, including the trio, Shoulda, Coulda, Woulda, with fellow music teachers Andy Mayo and Jeff Rhone, the Providence Mandolin Orchestra, the New American Mandolin Ensemble, and he is a founding member and director of the Syzygia Mandolin Ensemble in Hartford, CT. David truly feels that there are things to learn from EVERY aspect of music and music performance in the world, and is constantly looking for the next musical tidbit to catch his ear.